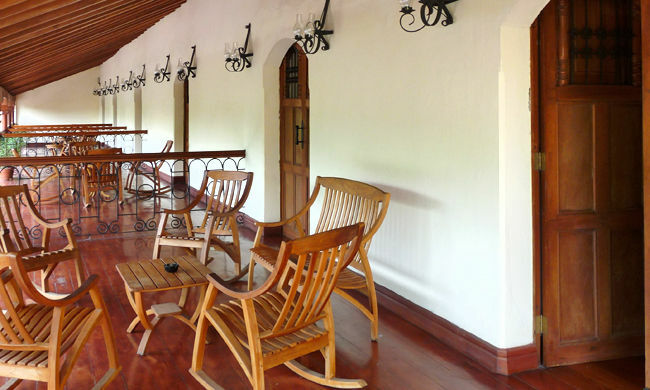 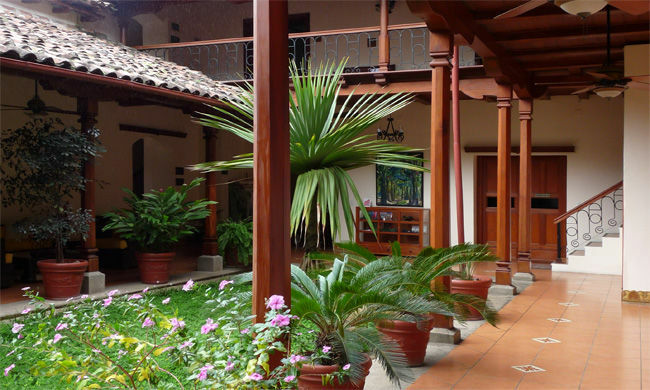 A restored, colonial mansion overlooking Granada's Central Park. 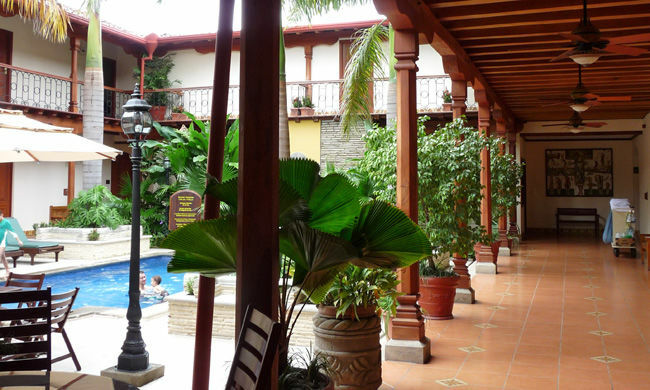 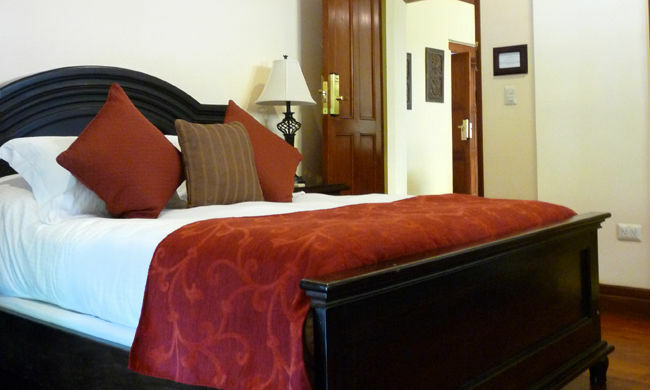 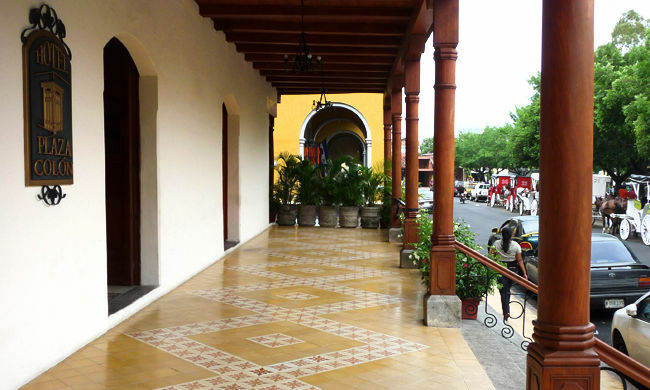 Hotel Plaza Colon is located in a historical building in the center of the beautiful city of Granada, in a property that is known not only for its representative Spanish colonial architecture, but also for the history it has gathered over the centuries. 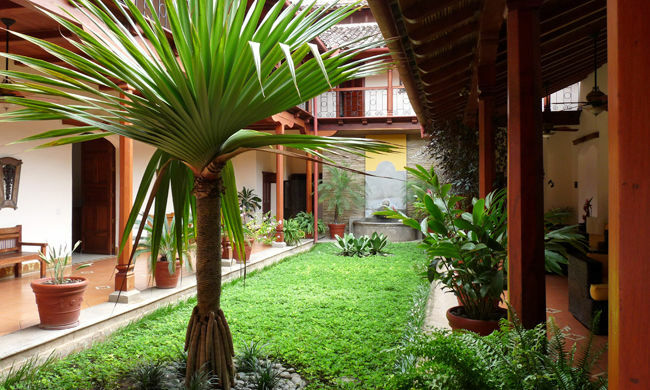 It has been the home of many of the renowned families of Granada, the last of whom decided to renovate the property into a hotel, taking special care to keep the style and architecture of the original house. 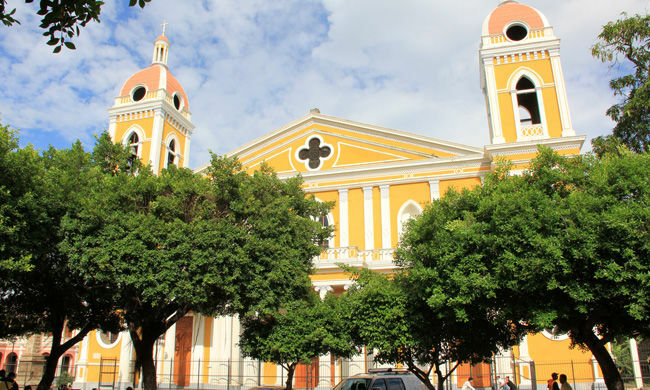 The current façade of Plaza Colon is now the same as it was at the turn of the 19th century. 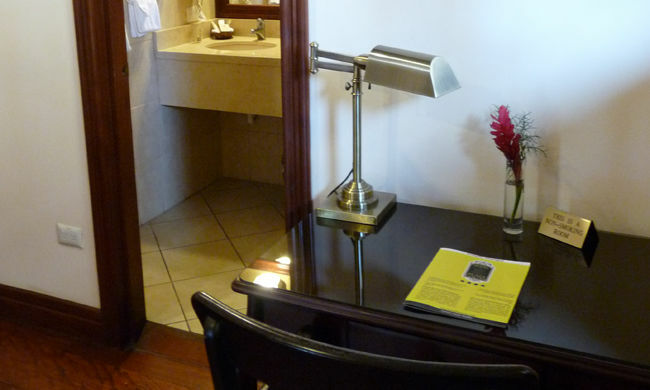 The hotel opened in 2006 and offers 27 comfortable rooms and suites, all with 21st century amenities, including A/C, cable TV, fully stocked mini bar, Wi-Fi, safety deposit box, alarm clock and hair dryer. 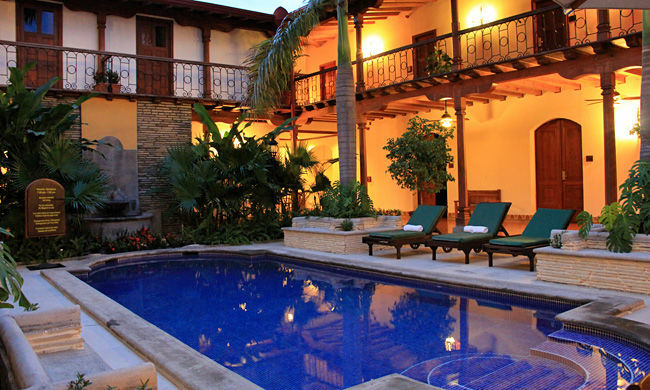 The courtyard pool is a perfect place to cool down after a day exploring the city. 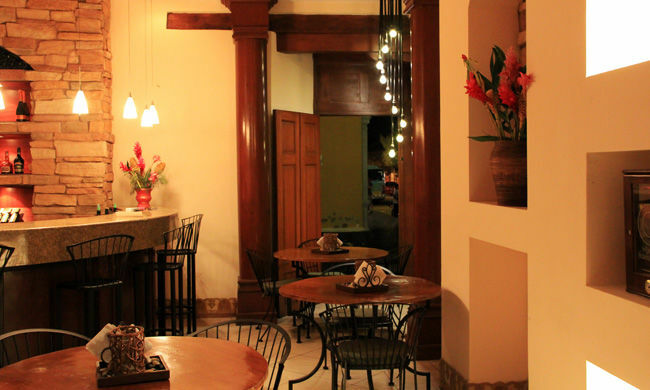 Breakfast is complimentary and comes with the freshest local ingredients and the very best Nicaraguan coffee. 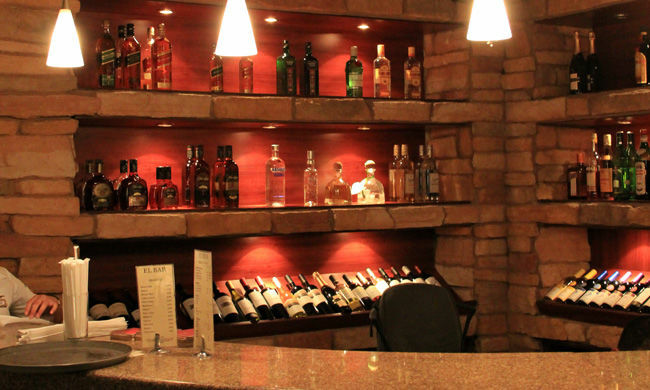 “El Bar” will welcome each guest with the national cocktail, “El Macua” and also offers the finest wine selection in Granada as well as delicious tapas.